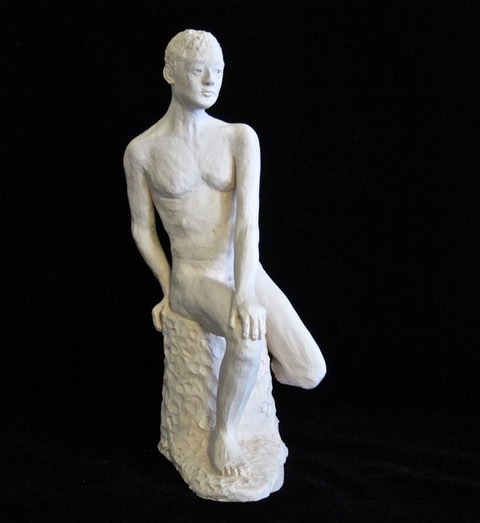 The human figure is the eternal subject for artists to recreate. 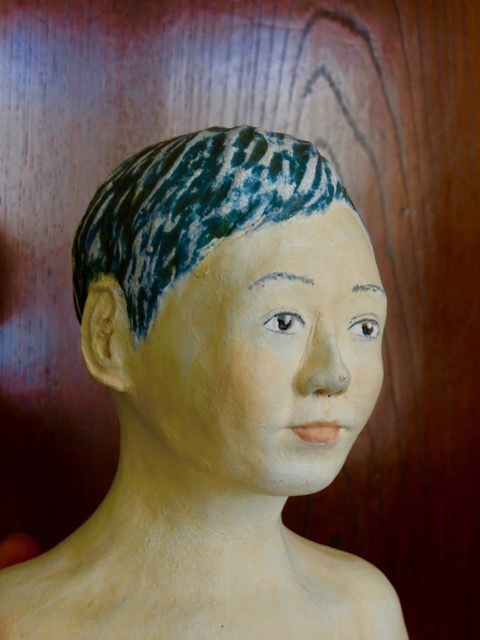 We produce paintings and sculptures that mimic people and we feel particularly attached to these creations. They embody our thinking and feelings. 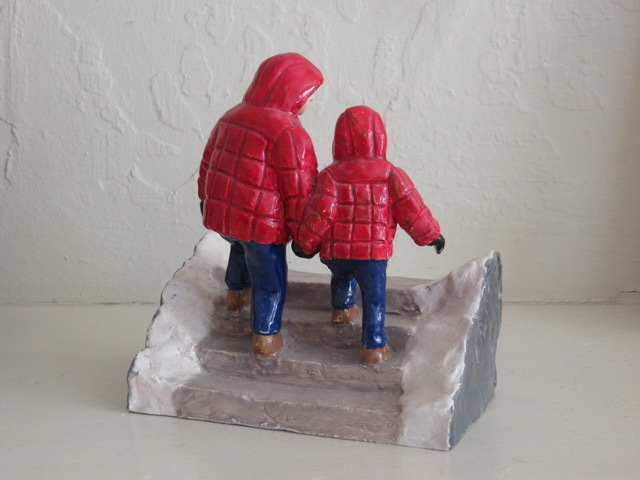 I made this sculpture of Sally and me climbing gingerly up a snow-covered stairway. I held onto Sally’s hand and paid attention to make sure she did not slip. Sally also took up sculpting. 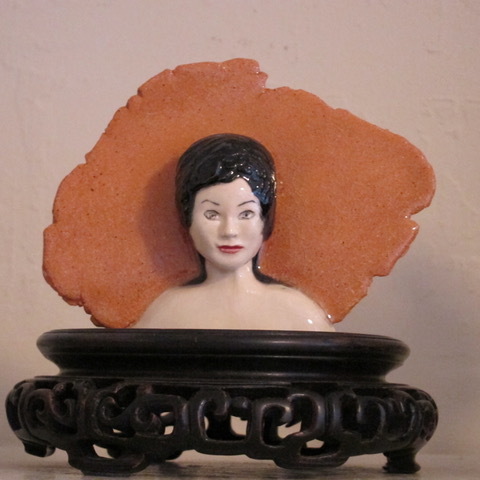 She made busts of beautiful ladies from memory, putting her vision of beauty into pieces of clay. After the clay dried, she would fire it into a solid bisque. 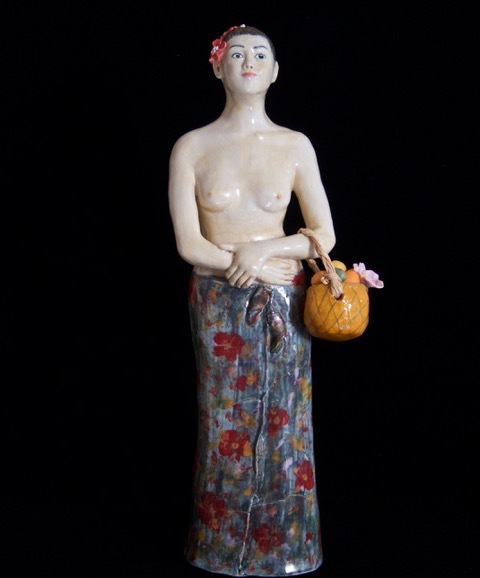 She then painted the sculpture and fired it again to create the finished sculpture. It was a painstaking process and required endless patience, with no guarantee that one of the steps might go awry and ruin the piece. It is always a triumph when a piece emerges from the kiln successfully. The little girl in Sally played with her sculptures. She adorned her bust with a bracelet to make it even prettier. 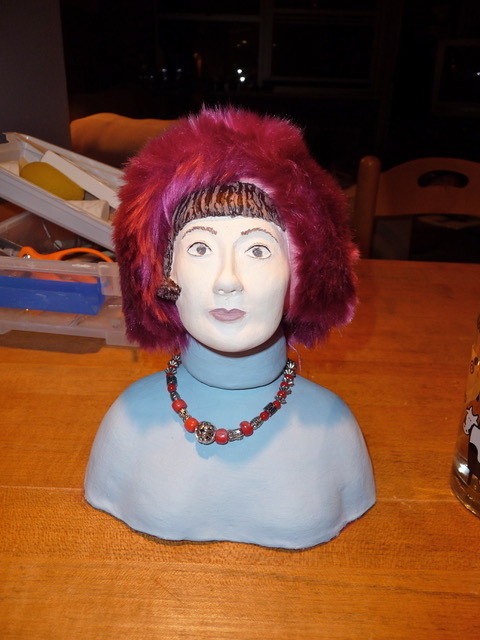 She took some fake fur and made a fur hat for this bust. 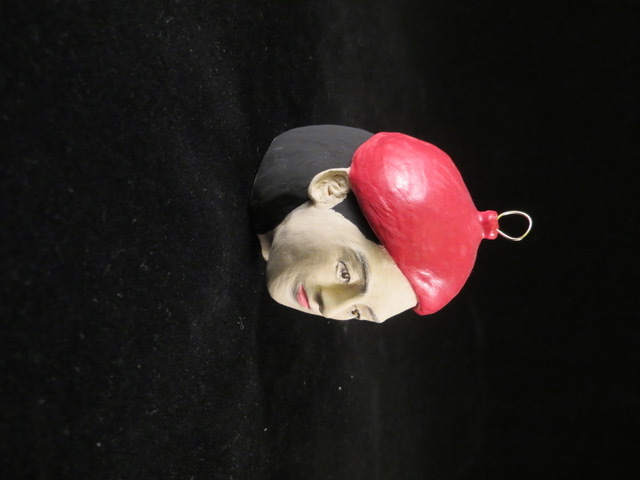 Sally paid lots of attention to the human face and enjoyed sculpting tiny faces. 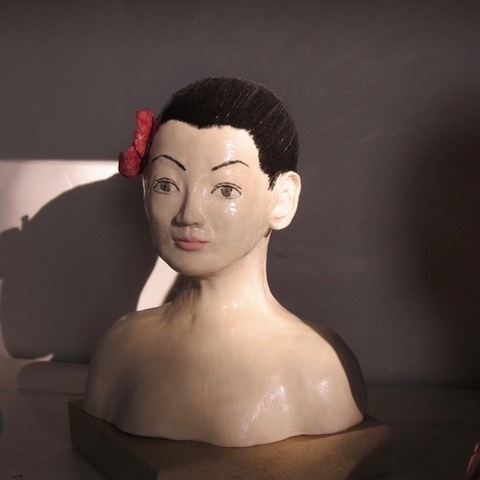 When a class assignment was to make a rattle, she made a rattle of a head. We were married in 1967. 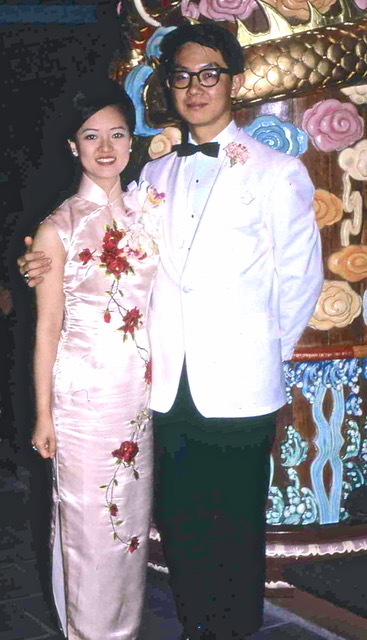 Sally wore an embroidered cheongsam dress at our wedding banquet. 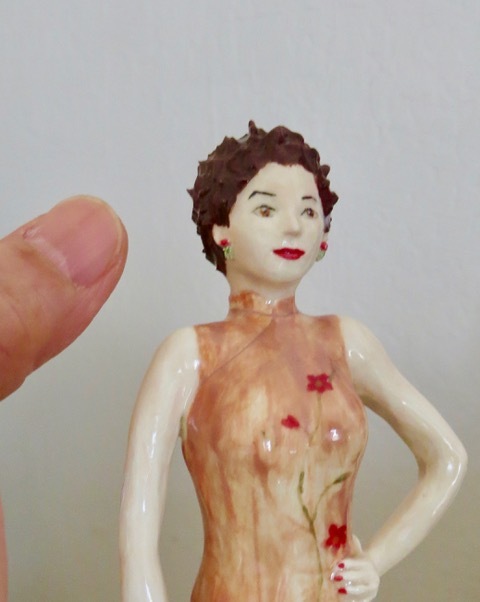 She wanted to solidify that magic moment and sculpted a tiny lady in a similar cheongsam. She worked carefully to create a lovely face the size of my thumb nail. She even gave her red and green earrings. This sculpture is sitting on my desk. It usually took weeks of work to complete one sculpture. 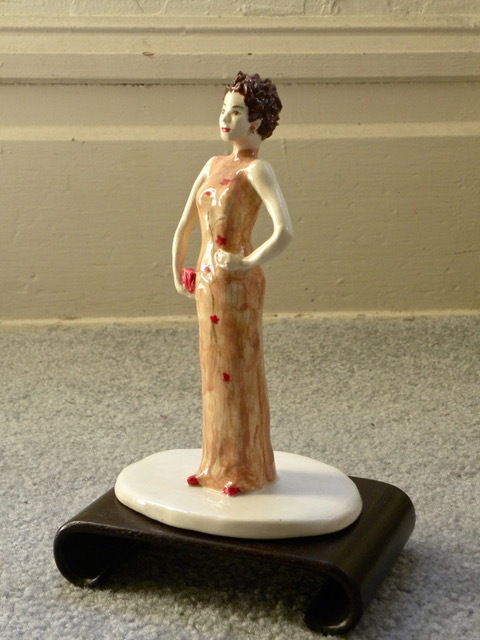 Sally had the talent and the patience to make beautiful sculptures. I have neither the talent nor the patience to sculpt human figures. I stay with ceramic foods. She took joy in filling this South Sea lady’s basket with flowers and fruits. 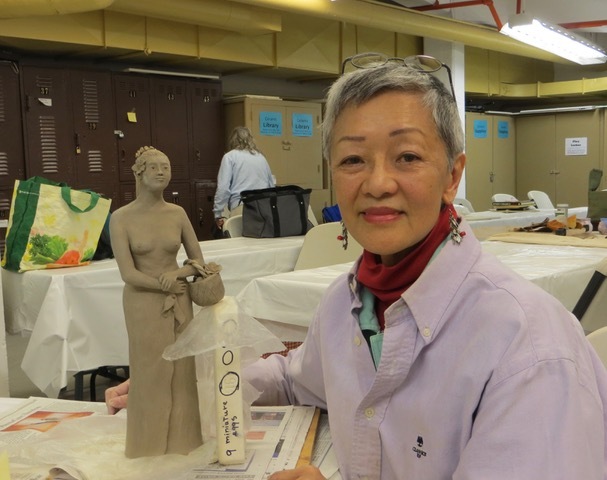 To enhance her sculpting skills, Sally took clay sculpture class and worked with live models. As each pose would last only a few days, she had to work much faster than her natural pace. But the results were stunning and she surprised herself. 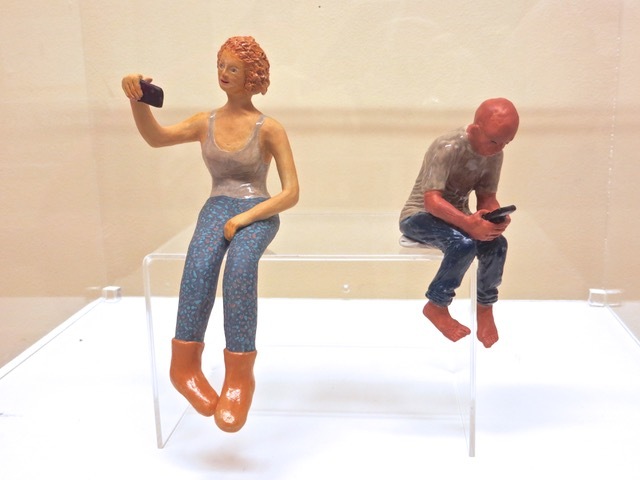 In a playful mood, we cooperated to make one figure each with the iPhone as a common theme. Her figurine had a complete face, but mine’s face was a blur. 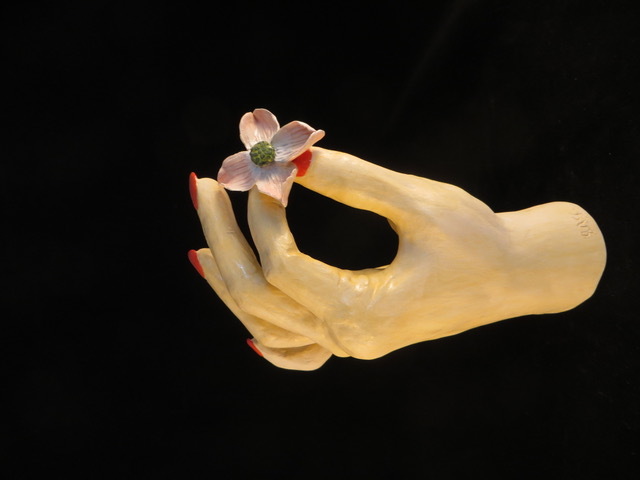 The human hand is one of the most difficult items to sculpt. She paid attention to the dimensions of the hand and created a very lifelike hand. 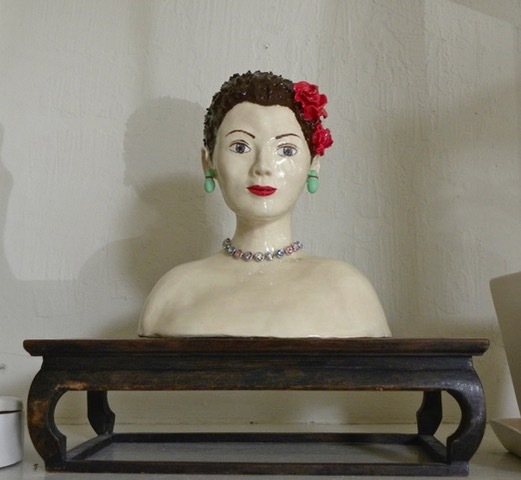 Sally wanted to make a bust of herself. It is extremely difficult to make a bust that looks like a specific person. Slight variation here and there would change the likeness of a bust. 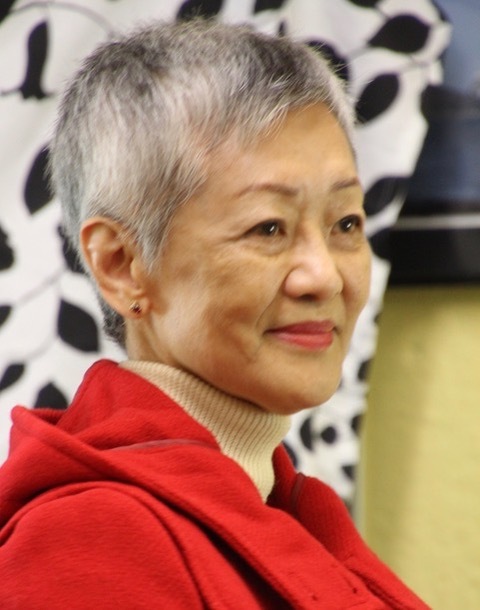 Artists spend a lifetime to learn and perfect this masterly skill. This picture was taken when she was a bit chubby. This first attempt has perhaps 25% likeness of Sally’s face. To me, it evokes her. 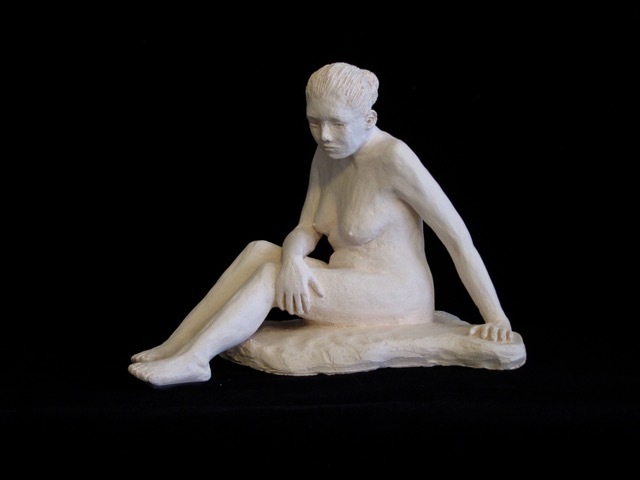 If she had time to develop her skills, I believe she would be able to create sculptures with high likeness of herself. Posted by Robert Wu on Monday, March 18, 2019, at 6:17 pm. Filed under Uncategorized. Follow any responses to this post with its comments RSS feed. You can post a comment or trackback from your blog.